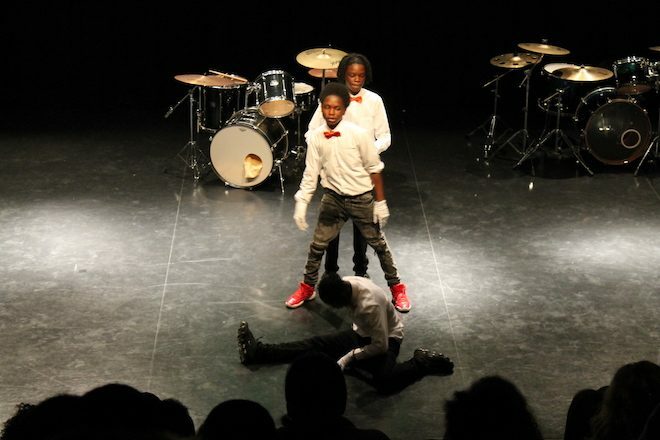 Welcome to Arts & Media School Islington blog 2018-19 where, along with our News Page, we keep you up to date with all the fascinating events that are taking place each week at our school. Congratulations to Shauna from year 10 who has been awarded the Ben Kinsella award at the borough Civic Award ceremony. Shauna was handed the award for her work with charity Solace Women’s Aid who gave an assembly at the school as part of our PSHE programme. We are really proud of Shauna for receiving this well deserved award. Well done to 7B who have completed a Amy Winehouse and Middlesex cricket Club workshop on Mental Health Issues. 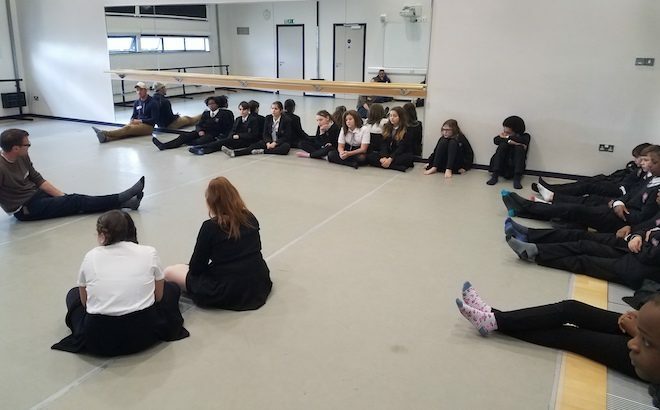 The form listened to some amazing stories from people from the foundation and had great discussions on mental health and resilience. 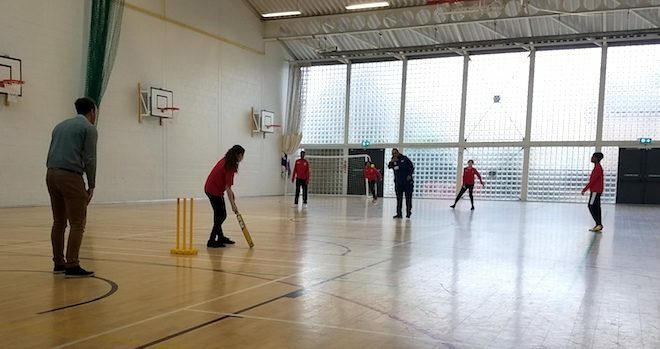 On the week of Comic Relief 2019, our students took part in a number of fundraising events organised by our head of Extended curriculum, Mr Bethell. 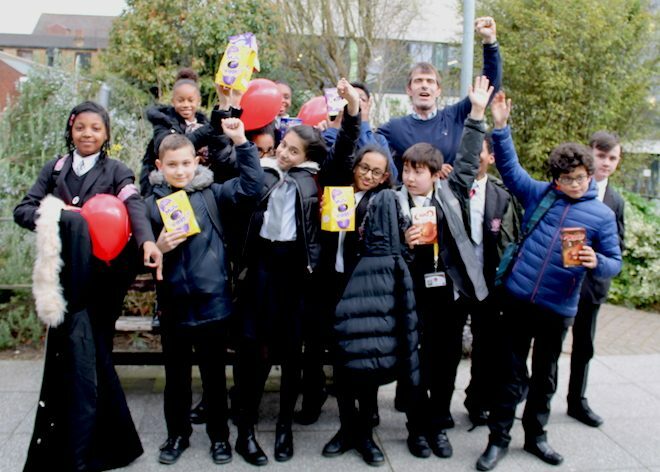 Our year 7 students took part in a charity spelling bee with chocolate eggs for the winner! 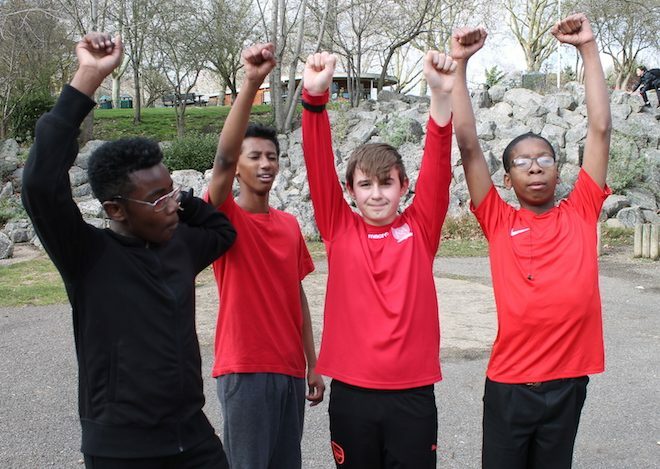 Over the next couple of days, our years 8 & 9 all hiked down to Finsbury Park for a sponsored walk around the park. Well done to all the students who took part and for raising lots of money for great causes! 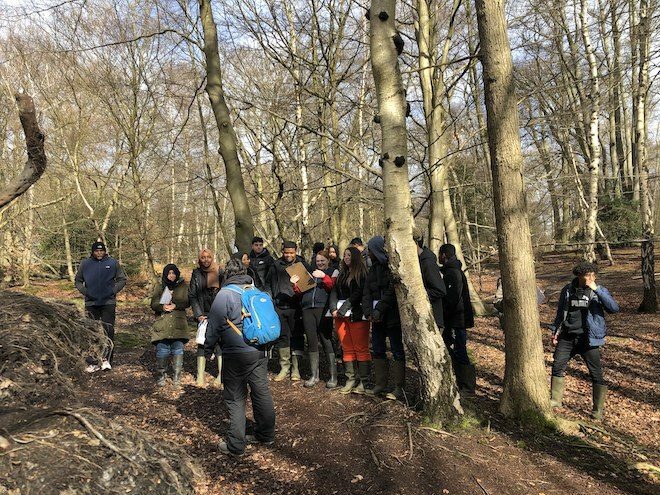 On Monday the 4th of March, 38 of AMSI’s year 11s boarded a coach to Epping Forest to complete their geography fieldwork. They arrived at the Field Studies Centre where they were greeted by Lorna and Mykaa, their tutors for the day. 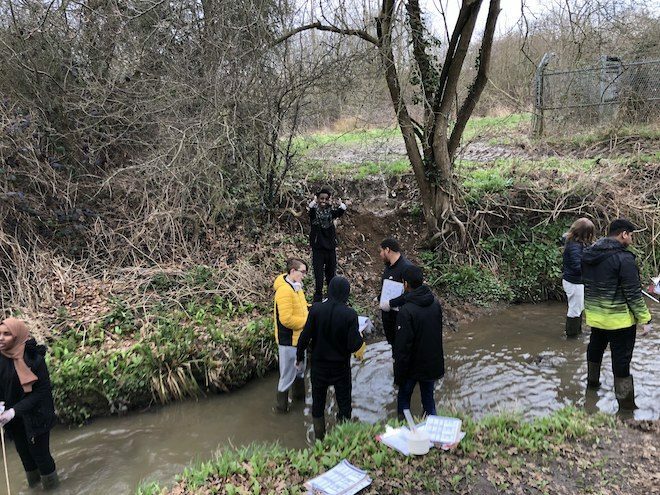 After showing off their extensive knowledge of rivers and fluvial process the AMSI students were taken out to Debden Brook to investigate how a river changes as it moves through its course. To do this the students were going to measure the depth, width and velocity of the river in addition to measuring the effects of erosion on the sediment in the river. Although at the first site the students faced some challenges in getting to grips with the data collection methods they quickly worked through any issues and by the time they reached their second site on the river they adept in their data collection. Following a day of hard work all the AMSI students had completed the work they needed to and were relieved to get back on the coach and head back to school. Special thanks to Ms Ackerley, Ms Esnard and Mr Naidoo for making the trip possible. A week after completing their physical fieldwork the year 11 AMSI geographers set to investigate how areas of differing mean income have different environments. 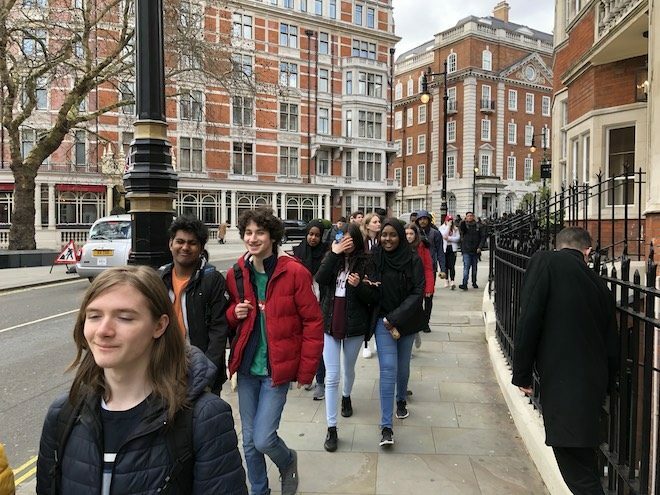 To do this the students had devised a series of hypotheses that they would check through data collection in Holloway (mean household income £48,760) and Mayfair (mean household income £95,940). Students efficiently collected data on vehicle numbers, pedestrian numbers, noise pollution and environmental quality schools in Holloway. 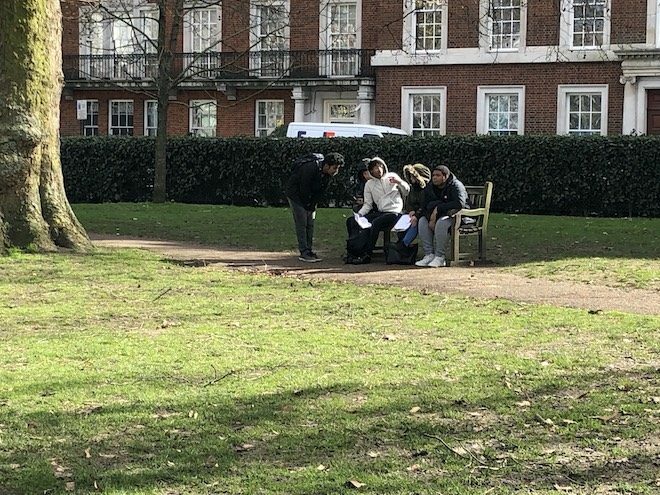 After taking the tube to Green Park students and staff enjoyed some lunch in the sun before walking to Grosvenor Square to collect their data for Mayfair. The students behaved brilliantly throughout the day, demonstrating maturity and independence throughout. 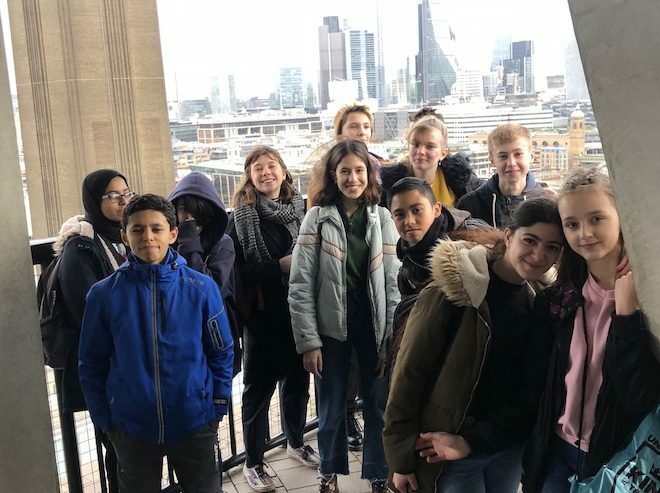 Special thanks once to Ms Ackerley, Ms Esnard, Mr Emerson and Mr Naidoo for making the trip possible by, once again, giving up their time to support geography and the year 11s. Congratulations to our Year 8 girls who regularly attend the HEAR 2 CHANGE lunchtime sessions led by SOLACE Women’s Aid. Based on their discussions about identity and peer pressure they created a fantastic animation which was shared in school to celebrate International Women’s Day. 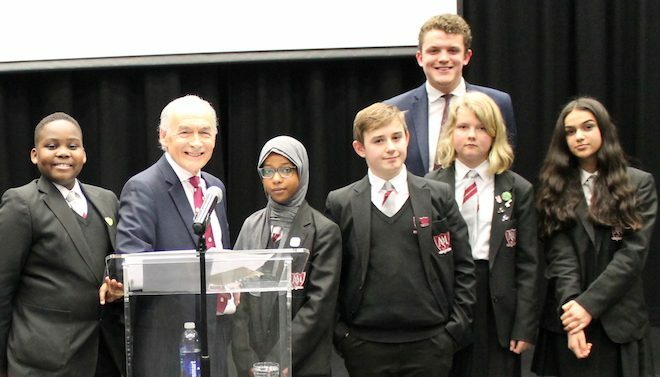 We were delighted to welcome ITV News anchor Alistair Stewart OBE to our school to talk to the year 7 & 8 students about working as a journalist. 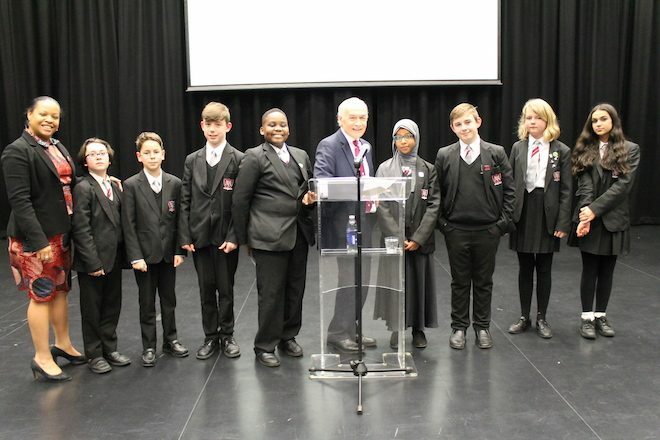 In a full assembly with, two year groups, the students listened intently as Mr Stewart described what it means to work as an impartial journalist covering all of the biggest stories in the world. He also told some wonderful stories of covering events that have changed the world such as the fall of the Berlin wall and how studying history, as well as English, can be of great benefit to anyone who would like to go into journalism. There was then a question and answer session from the students and Mr Stewart kindly answered some great questions. Thank you to Mr Ritchie for setting up and organising the talk and to Alistair Stewart for taking the time to speak to our 7 & 8s. 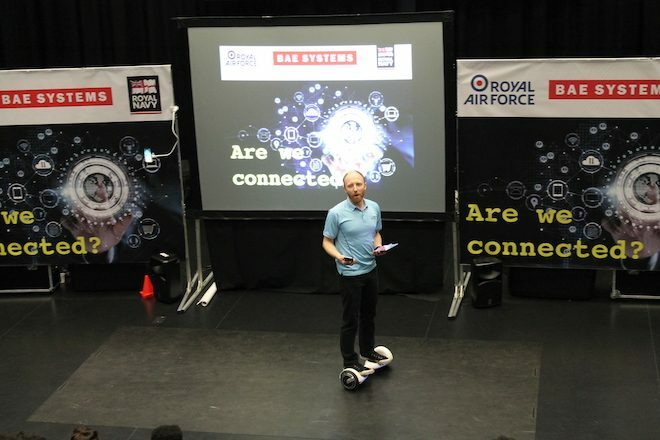 BAE Systems put on another great show for our year 7 students. Their aim is to inspire young people from all walks of life to pursue STEM (science, technology, engineering and maths) subjects and careers. 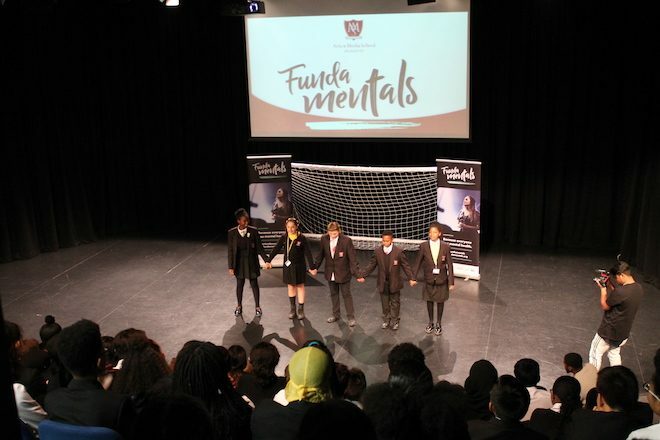 Our year 7s were entertained and inspired. 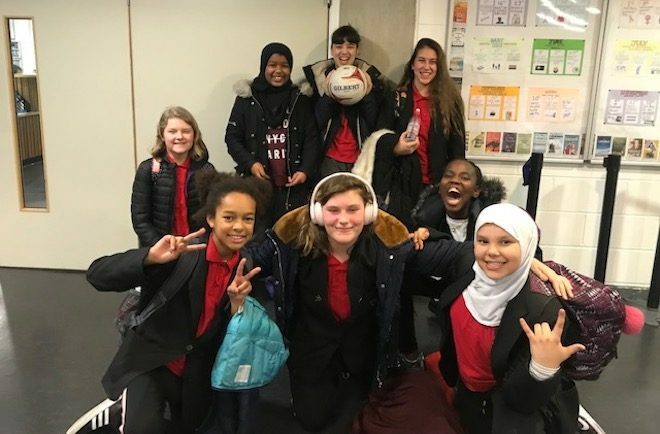 We are delighted to congratulate our Year 7 netball team for the fantastic results that they achieved in the schools netball tournament. Game 1 – AMSI Vs Mary Magdalene: We won 3-1, Waverley scored twice in the first half and Ikhlas once! Game 2 – AMSI Vs Holloway: We won 6-1, Waverley scored 5 goals! and Luna one. Well done and thank you to Aleema, Ikhlas, Isabelle, Kaija, Luna, Sarah, Sofia & Waverley and to Ms Willett for an amazing achievement!!! 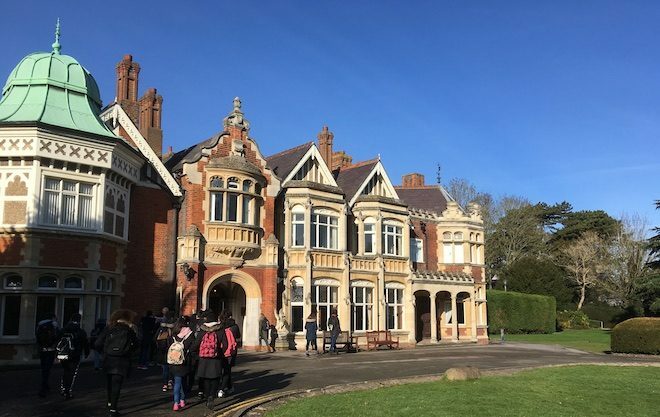 We took a group of 28 Key Stage 3 students from years 7,8 & 9 to the home of the codebreakers, Bletchley Park. 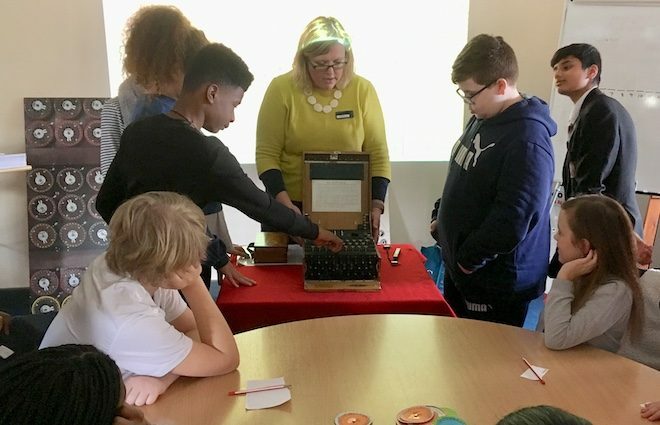 In the grand house, used during the Second World War by the government for the Government Code and Cypher School, the students got to see the Enigma machine and the machinery built by Alan Turing and his team to decipher the German secret codes. As well as shortening the war and saving many lives, this paved the way for the invention of the computer. The students then got a crack at stepping into the shoes of the codebreakers as they worked on some codes of their own. This trip couldn’t have been timed better as codebreaker, Alan Turing has just been named “the greatest person of the 20th century” in the finale of the BBC Icons series, beating Pablo Picasso, Nelson Mandela and Dr Martin Luther King Jr.
Our Year 10 Into University students spent last Friday working alongside Staff from the prestigious international investment company UBS. Their challenge was to work in teams and pitch a winning idea to stage the ‘Global Games’. The pressure was high as they planned budgets; designed marketing materials; wrote business plans and were financially penalised if they were late for meetings! The winning team was led by Mariam and Lusheen. UBS Staff praised their leadership, clear focus and teamwork skills. 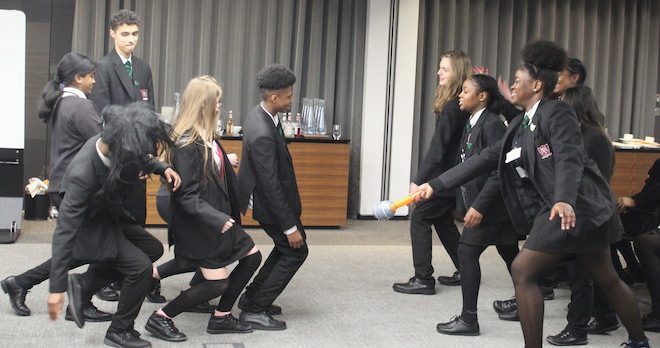 Our years 7&8 MFL students enjoyed a day of drama and role play whilst furthering their knowledge of French and Spanish. 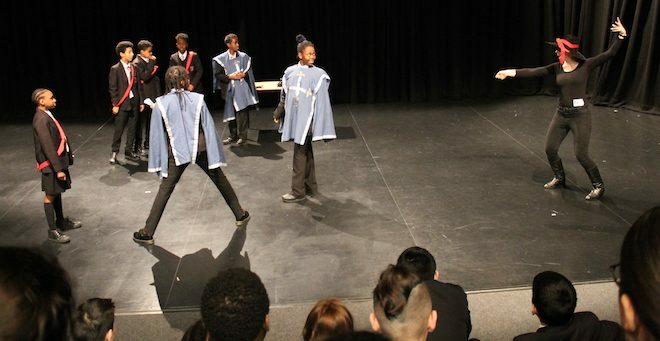 Using the stories of The Three Musketeers by Alexandre Dumas and Don Quixote by Miguel de Cervantes, our visitors brought costumes and incorporated role playing whilst engaging the students in the language of the text. 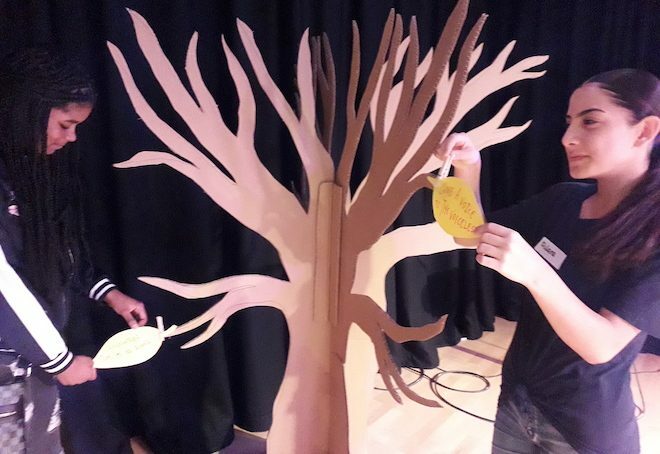 It was a lot of fun but also a highly effective way of teaching and bringing to life not only the language but the literature of these two classic texts. 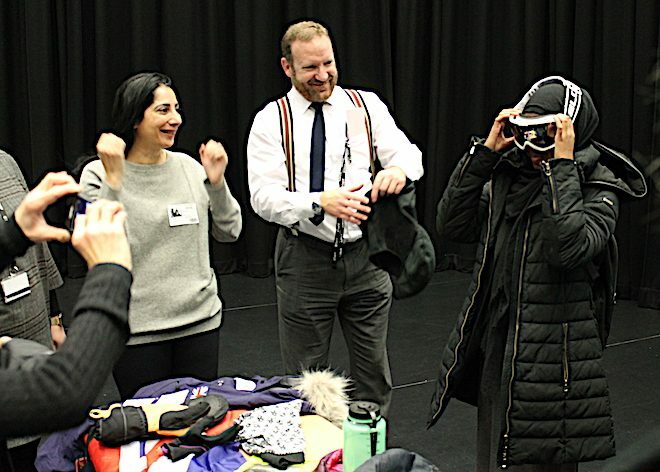 It was a perfect example of how we are committed to bringing creativity to as much of our teaching at Arts & Media School Islington as possible. Thank you to our head of MFL, Mr Castillo, for organising this event. 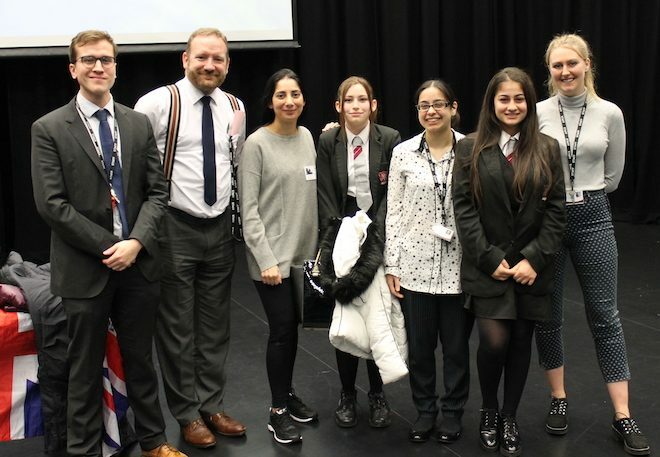 Our year 9 students had the pleasure of a presentation from Misba Khan, a mum and, soon to be, grandmother from Manchester who trekked with a team of European and Arabic women to the North Pole. The students were amazed at how Misba dealt with the -38⁰C temperatures and the physical strain of trekking on skis every day as the ice moved you further away from the pole. Misba also explained how she wanted to inspire other Muslim women to take on challenges and get out and explore the world. During a q & a the students were intrigued as to how Misba still managed to pray in the extreme conditions. Thank you goes to Misba and our governor, Cindy Owens and Mr. Hogarth for setting up the event. 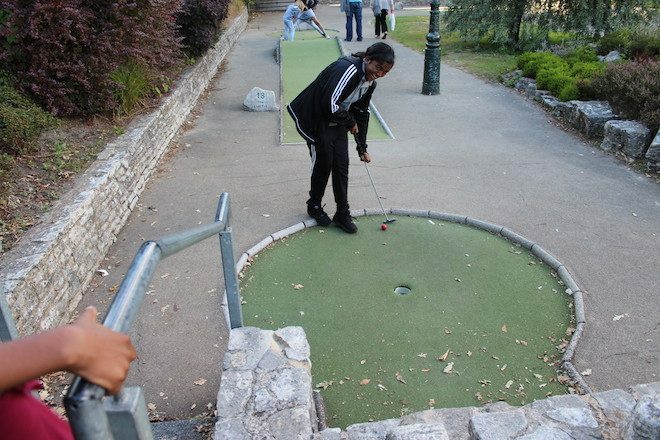 For the end of term we decided to treat our top Scholastic Achievers to a trip out of the school. Head of year, Ms McHale, took out her year 9s to visit the Tate Modern and take in the sites of Christmas time on the Southbank. 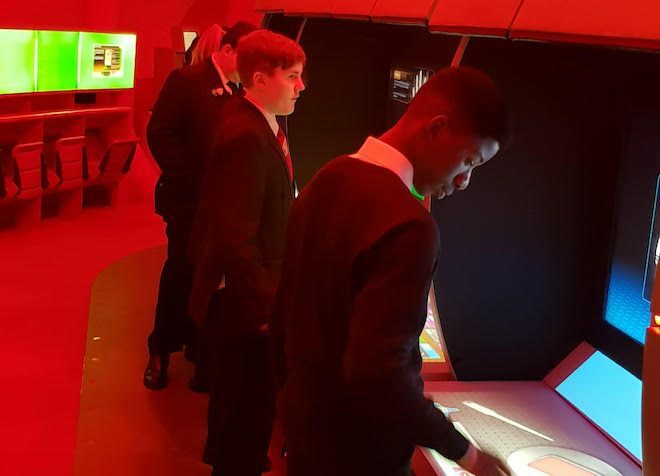 Mr Rofik took his year 10s to the London School of Medicine and Dentistry to see the Centre of the Cell pod. Well done to all the students selected! 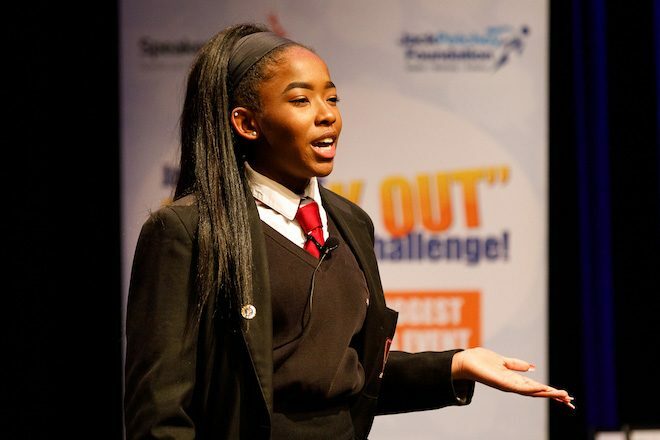 It was an absolute pleasure to see our 3 Year 10 girls, Keji, Mariam & Paris compete with 8 other Islington secondary schools in the Islington Regional finals of the Jack Petchey and Speakers’ Trust Speak Out Challenge and deliver their speeches with confidence and strength of character. Congratulations to Keji who took the title, the second year running for an AMSI student! 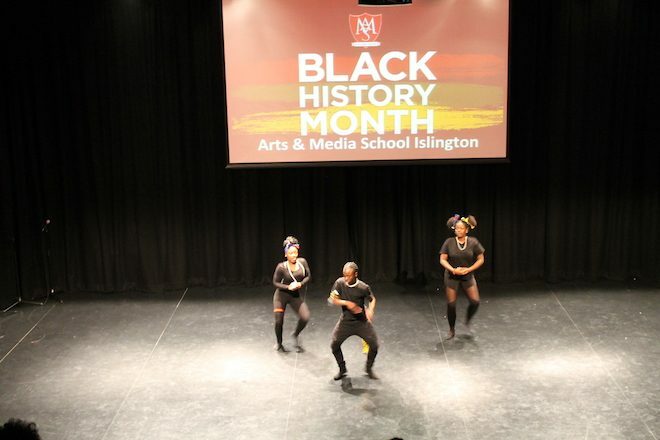 Thank you also goes to Tia and the dancers for their wonderful performances, last year’s winner Azana for hosting and to Miss Campbell for organising the event! 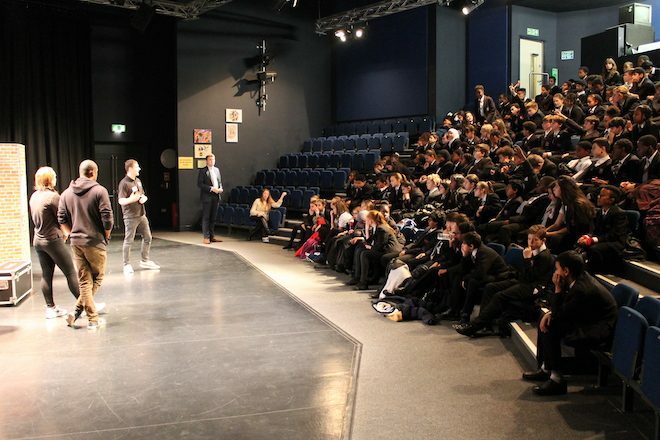 Our year 7s had the pleasure of hearing from Kitch, an extraordinary young rapper who uses his talent for rapping to overcome his speech impediment. 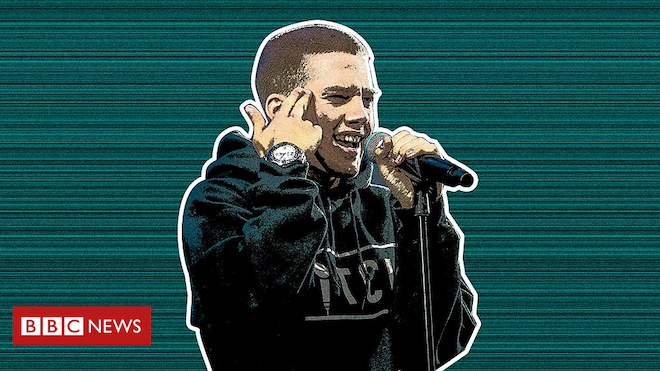 Despite a serious stutter, Kitch has gone against anyone who told him that he wouldn’t be able to rap, let alone perform, to be able to get on the stage, take the mic and rap. And he did just that as he kindly gave a motivational speech and performed for an extended assembly for our youngest year group. Having overcome a massive obstacle in his own life, he told our year 7s that they are all capable of achieving any goals they set themselves. 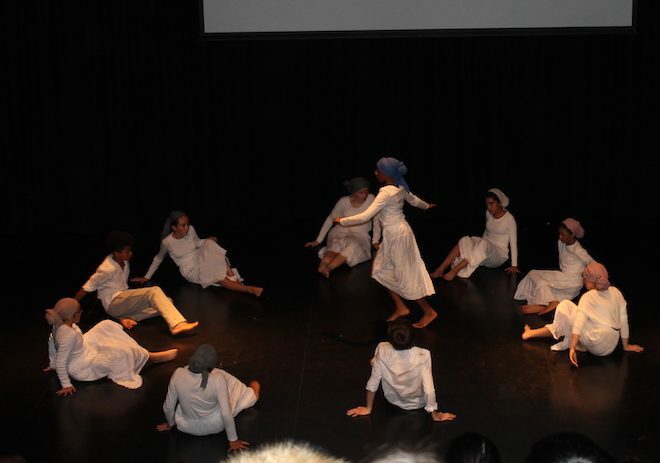 Our annual Black History Celebration got off to a sombre start with a haunting dance performance from our year 8s. To Nina Simone’s melancholy version of ‘Strange Fruit’ the dance was a powerful and moving depiction of slavery. It was one of the finest pieces of dance that we have seen at AMSI and set the scene perfectly. The mood was then lightened with some great vocal and dance performances from students from all years and a final performance from Mr Wallen. Mr Wallen and Mr King had put together a fitting evening confidently compered by a team of students to introduce the talented acts. 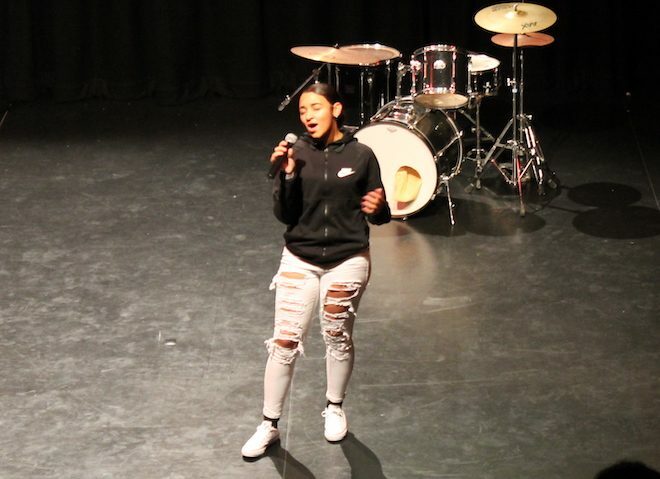 A particular highlight was a great performance from Mia, who recently joined our year 10. She sang a couple of songs including a perfect version of Whitney Houston’s, ‘I Have Nothing’. Wow! The evening was rounded off with some delicious Caribbean and African food. 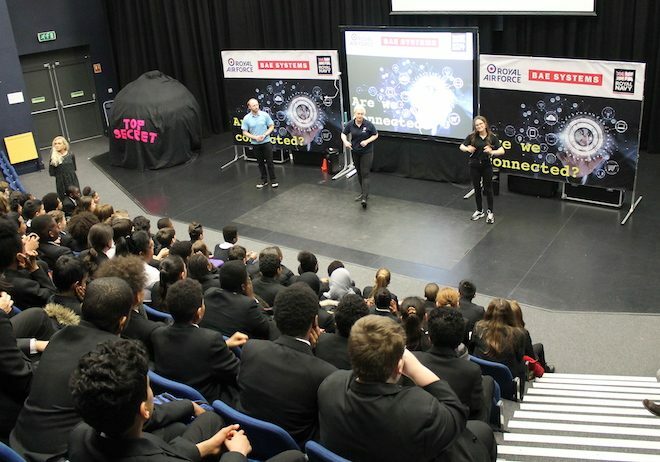 This year’s year 7s were entertained and hopefully learned a valuable lesson about road safety by the Riot Act theatre company. 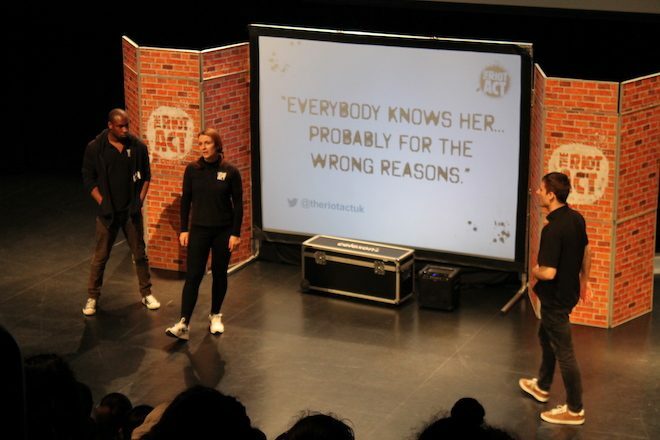 Specialising, and recognised by schools across the UK, as a leading provider of curriculum based theatre-in-educaton, the Riot Act provide an interesting and informative show which should stand our youngest year group in good stead for the future. 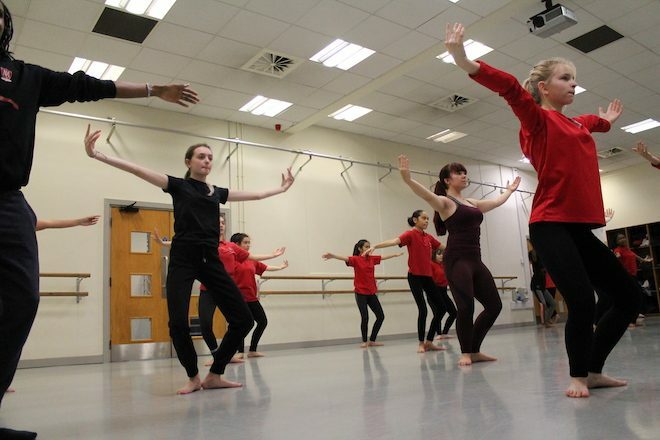 Mid November saw the start of the Middlesex University Dance Accelerator Programme. 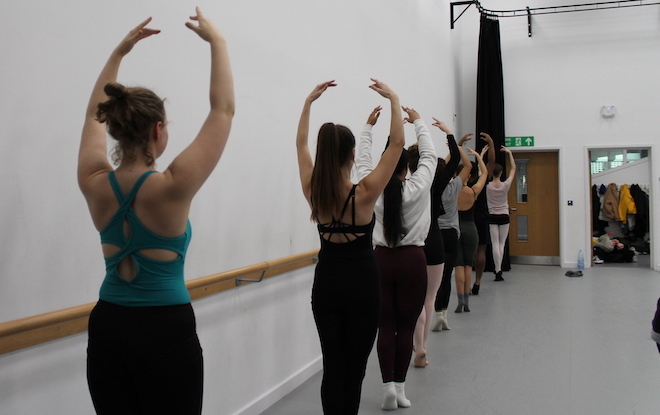 A selection of students interested in dance went up to the Finchley campus of Middlesex University to take part in the Middlesex University Dance school Raising Aspirations programme. 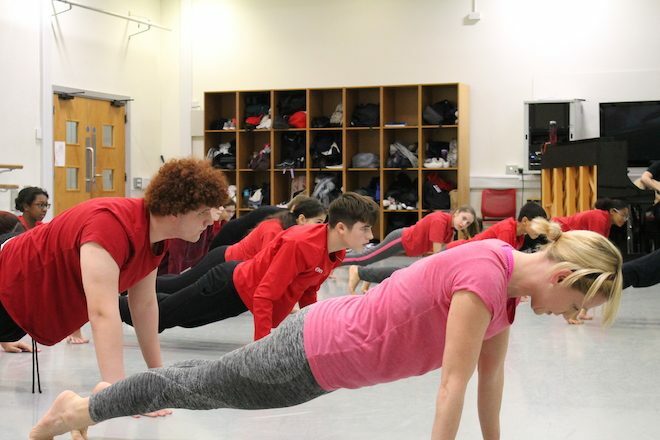 With equal measures of fun and hard work, this four weeks course is a fantastic opportunity to further the students’ skill, flexibility and fitness in dance. Thank you to all parents and carers for allowing the students to take the course in their own time after school. 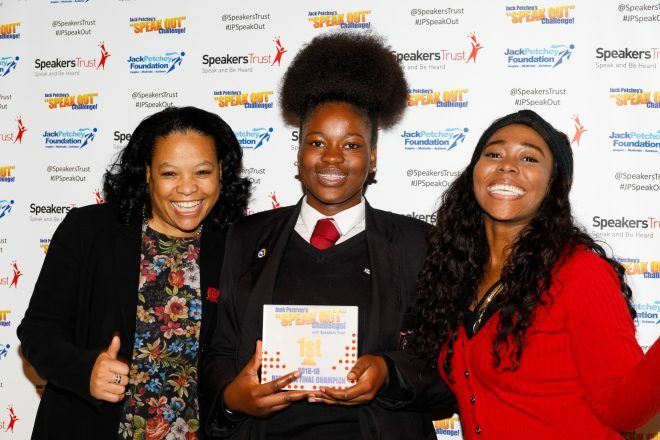 ‘Respect’ goes out to Year 7 students from Arts and Media Islington Secondary school (AMSI) who have won Islington’s Anti Bullying Week competition for schools. 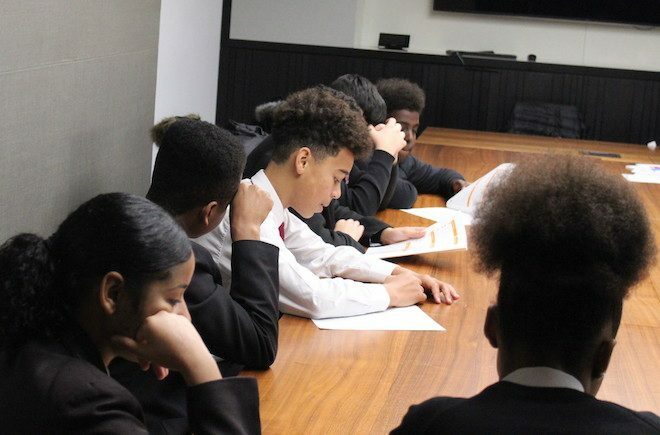 The students produced their own version of the News at Ten on the theme ‘Choose Respect’ using Aretha Franklin’s song ‘Respect’ as inspiration. 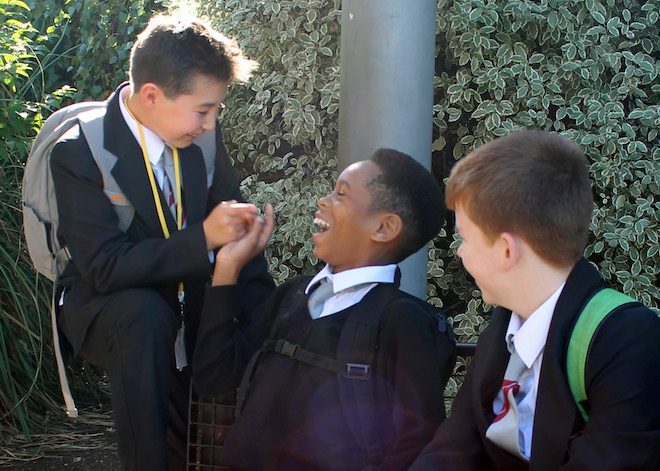 Our new Year 7 students have transitioned into secondary school really well. All students have had a taste of what the expectations are at AMSI, and Mr. Ritchie (Head of Year 7) is very pleased that his students are performing excellently – in all areas of the school! 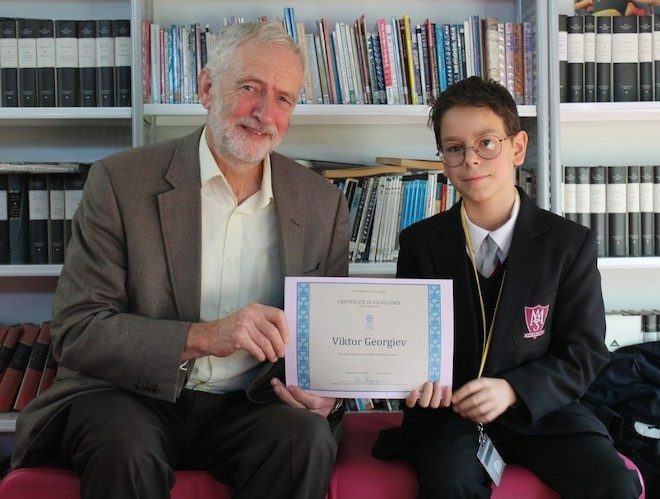 Ciaran, who won the Headteacher’s Award in the first half-term and Viktor, who has the highest achievement points in Year 7 – were lucky enough to meet with Jeremy Corbyn MP on his recent visit to the school. Both students gave feedback on their transition from primary to secondary school, their progress in lessons and what life is really like at AMSI. All members of staff are proud of the Year 7 cohort’s achievements thus far, and are sure this will continue as we progress through this academic year. 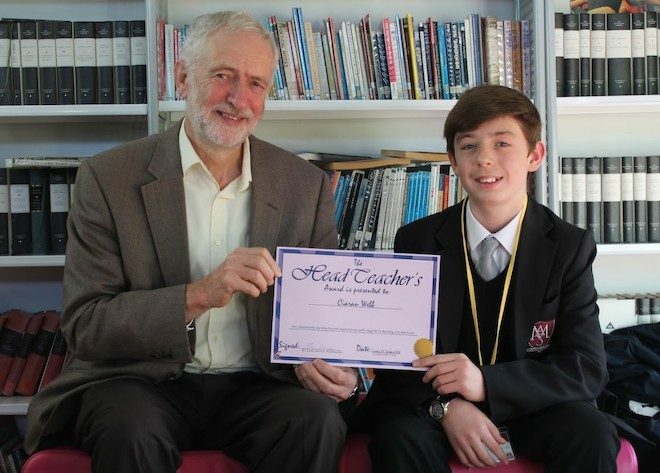 Labour Leader and local MP Jeremy Corbyn visited AMSI on Friday taking time to meet and chat with young people in his constituency. 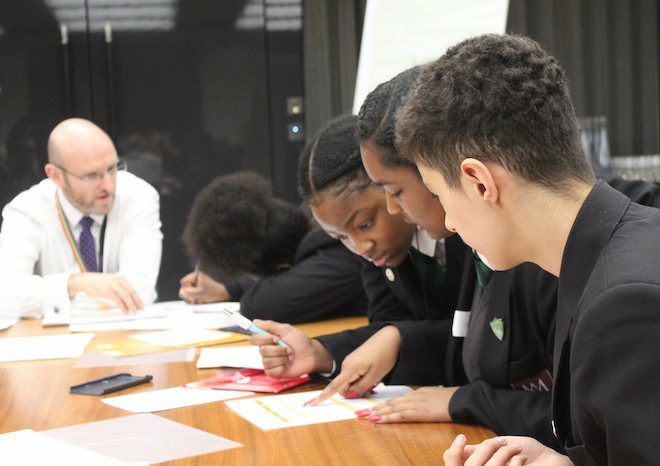 Jeremy heard about the students extraordinary achievements, which included some of the 30 who spent a week in Denmark on a Cultural Exchange, a group who run an emotional well-being club ‘First Friday’ and the Jack Petchey Speak Out Challenge winners. For the second year running, students from Arts & Media School flew to Denmark to visit our exchange school, Ugelbølle Friskole. The students from a range of years, went to experience life in school in a rural part of Denmark and to live with their Danish counterparts. 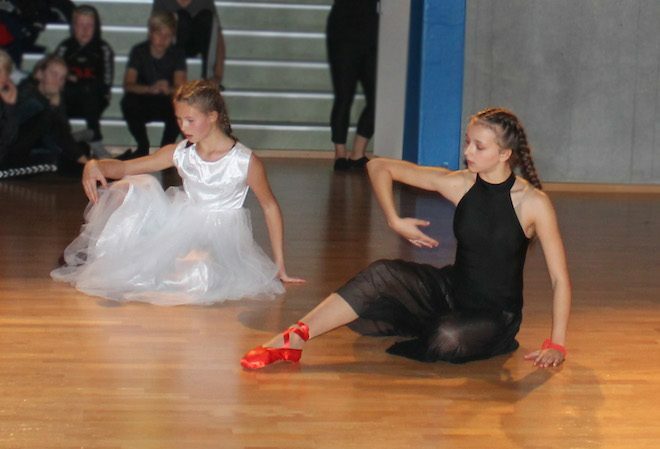 They had also been rehearsing the dance and drama version of Hans Christian Andersen’s ‘The Red Shoes’. 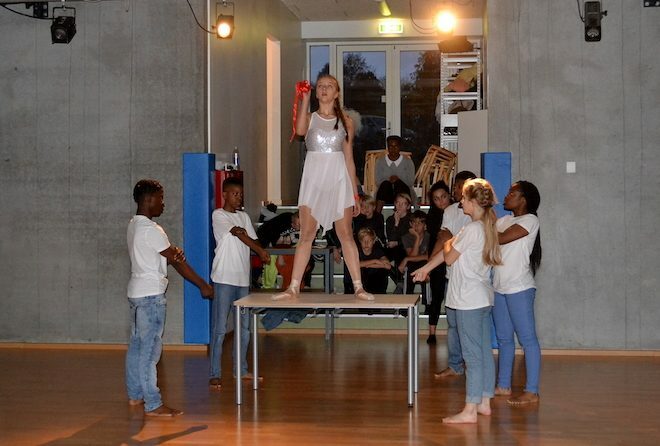 On arrival the students rehearsed the piece with the Danish students for a joint performance for the parent hosts and the staff of the school. It was an amazing experience and the first time that some of our students had actually travelled abroad. Ugelbøelle Friskole has a very different ethos to most British school model and it provides a valuable insight for our students. We now look forward to the visit of the Danish students when they visit in the new year. 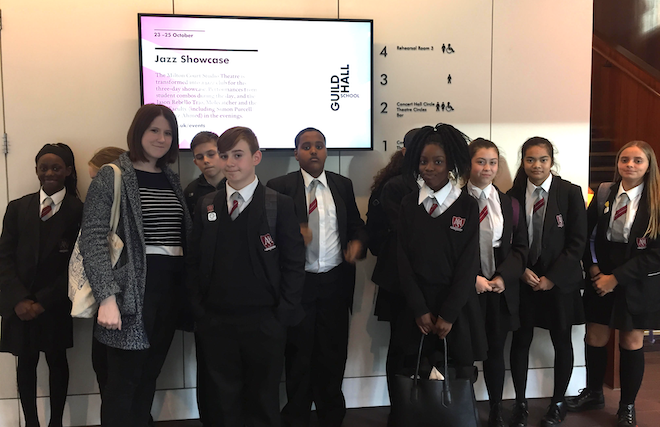 On October 12th, a group of Year 8 and 9 students attended a special production of ‘Hansel and Gretel’ at the Barbican Theatre as a rewards trip for their work during the Autumn Term. 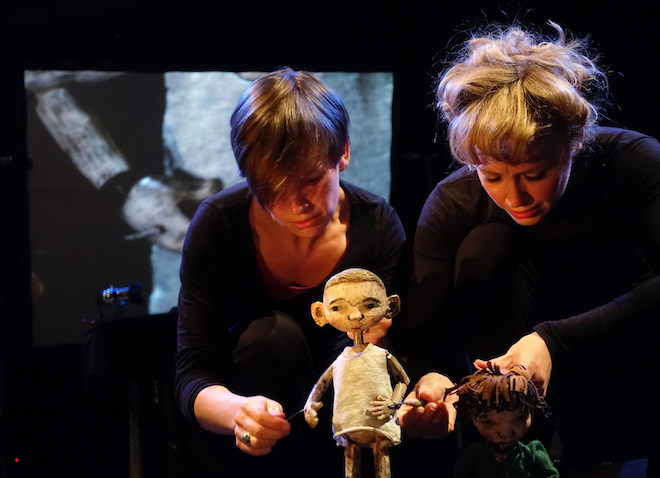 Hansel and Gretel (A Nightmare in Eight Scenes) ‘was a reimagining of the famous tale, with specially commissioned poetry, chamber music, puppetry and animations, all projected live onto a large screen. Students were also lucky enough to participate in a live Q&A session with poet Simon Armitage, who wrote the poetry for the production. He told students: “If you want to be a writer, you need to be a reader.” Excellent advice indeed! 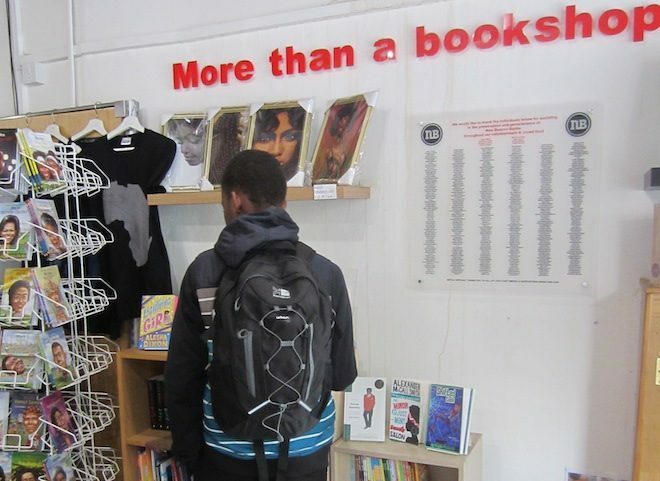 As part of our commitment to Reading for Pleasure and our Black History Month celebrations, two students were chosen from Year 7 and Year 9 to visit our local bookshop, New Beacon Books, on Stroud Green Road. Carl and Malachi were given the task of choosing some new books for the school library that they would really like to read themselves. Both students spent some time browsing the bookshelves, reading blurbs and openings and talking about the books that had sparked their interest. 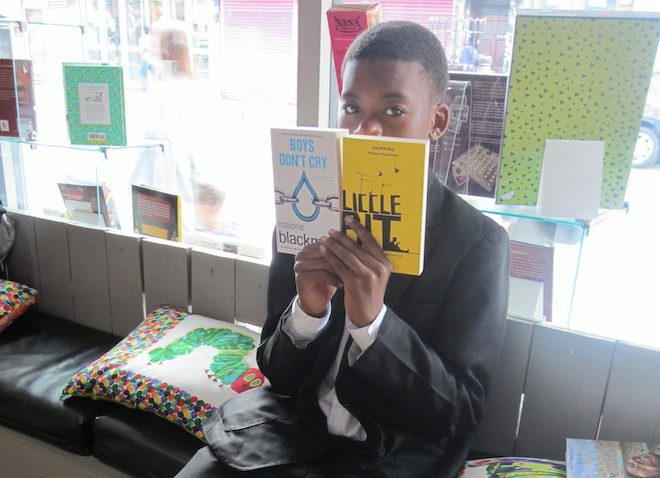 It was not an easy decision but we left with Boys Don’t Cry by award-winning author and ex-Children’s Laureate Malorie Blackman; Liccle Bit by ‘The Brixton Bard’ Alex Wheatle and A Nation Under Our Feet, part of the Black Panther graphic novel series, for something a bit different. Once Carl and Malachi have finished reading them, these books will be added to the Library catalogue and made available to all of our students. New Beacon Books was founded in 1966 by John La Rose and his partner Sarah White and was the UK’s first black publisher, specialist bookshop and international book distributor. For over 50 years New Beacon Books has made available to Britain and its communities poetry, literature, non –fiction, history and children’s books from Africa, Caribbean, Asia, African America, Europe, South America and Britain. The bookshop has been at the centre of many ground-breaking political and social projects, organisations and campaigns. 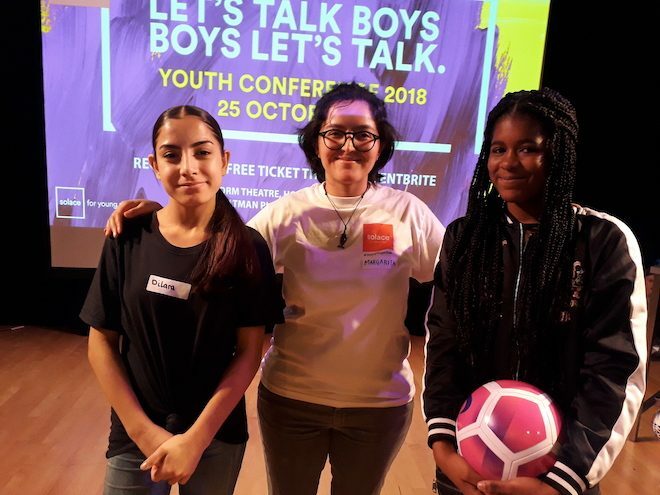 Well done to Year 9 students, Dilara and Sade who performed their own play about stereotypes at the Young Girls Conference held at Platform in half-term. 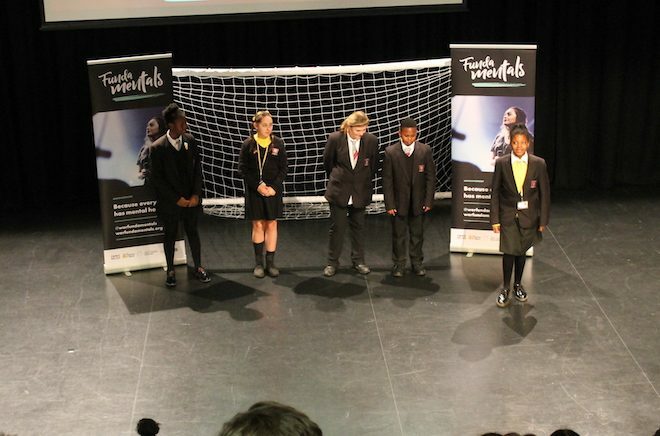 They are part of the Hear2Change programme which works with schools to end violence against women. The group meet on Thursday lunchtimes in the Library. 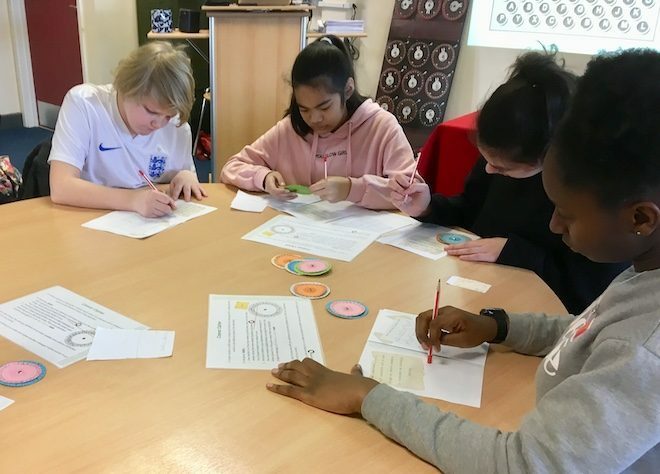 On Wednesday the 10th of October, Year 9 students celebrated World Mental Health day by fundraising and raising awareness for Young Minds by taking part in Young Minds Hello Yellow Campaign. We had a number of events taking place in school, including a bake and wristband sale and a beat the goalie competition. 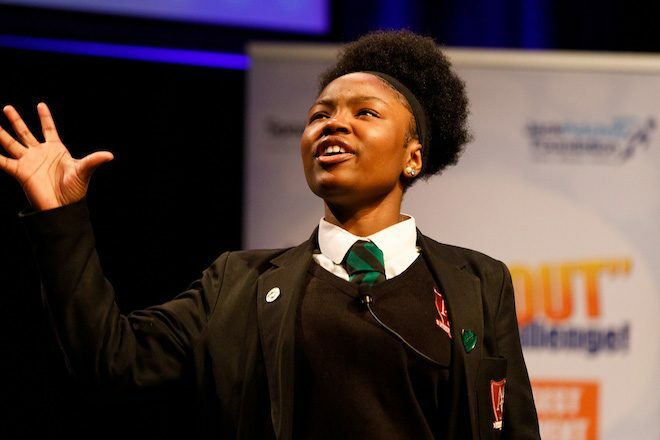 Young Minds provide vital support for young people struggling with there Mental Health. Nationwide, 3 children in every classroom have a Mental Health problem. Worryingly only one of them will receive the support they need. Young Minds provide valuable services such as a parent helpline. If you want to find any further information on Young Minds please go to youngminds.org.uk. We were all very excited to finally kick off our new AMSI Peer Reading programme last week! 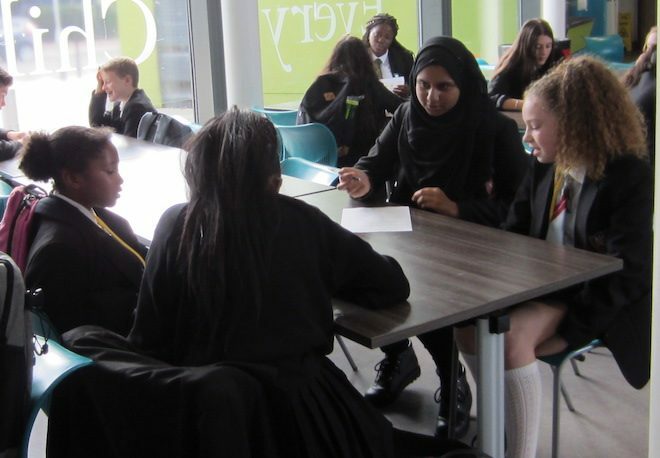 Twenty Year 10 students met with twenty Year 7 students to talk about their attitudes to reading. There was an air of apprehension as everyone waited to find out who they had been paired with but this soon gave way to excitement as the students got to know one another. 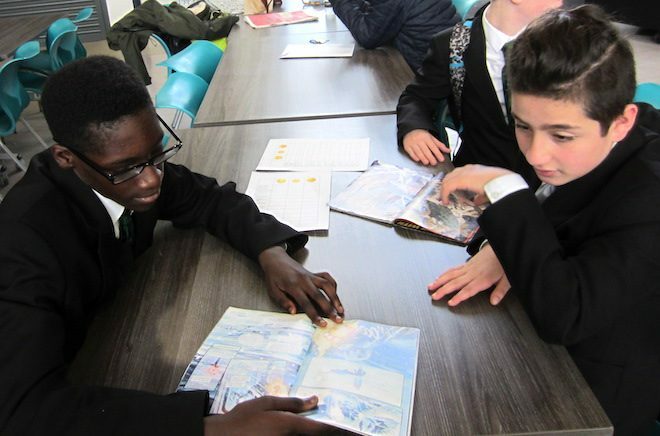 As part of their important role as Upper School Prefects, our Reading Mentors have each been paired up with a Year 7 student who they will meet with for a 1:1 reading session on Thursday afternoons in the school canteen. 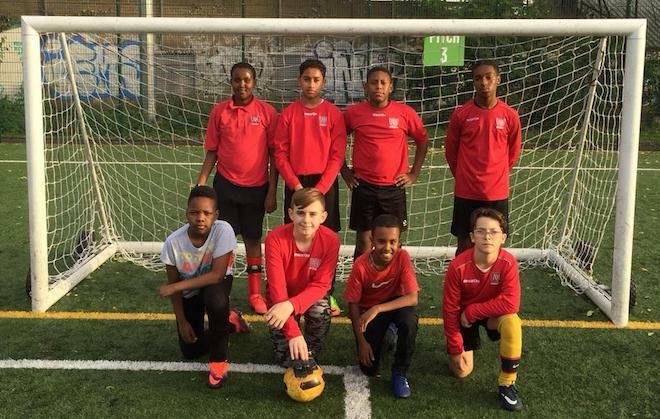 Well done to the boys 6-a-side football team on coming third in the Islington and Camden District 6-a-side Tournament. Special mention must go to Rory who played really well and was approached to represent Islington. They were unbeaten in normal time only losing on penalties in the semi-final. In the group stages they were the only team to draw with eventual winners St Aloysius. New Year 7 get off to a flying start! 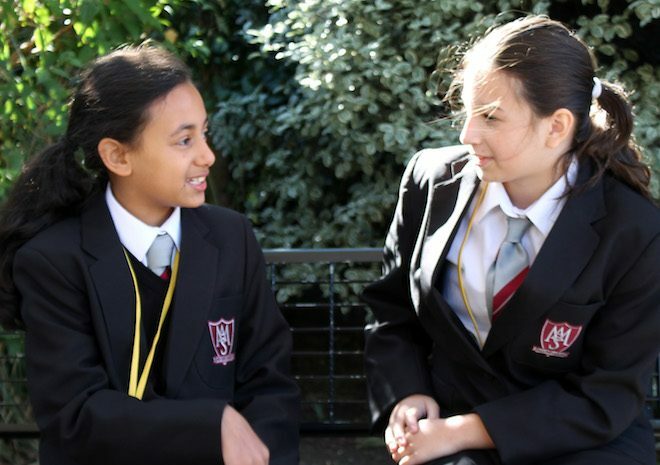 We are very proud of our new Year 7 students who have made a fantastic start to secondary school life. They are confident, kind and really enthusiastic about learning. Xirone, Lukas, Cara and Kaio who did not know anyone before they started credit their successful Transition to attending AMSI Summer School. Thanks to our education partner, Into University, a group of KS3 students spent 4 days this summer at Bournemouth University of the Arts. 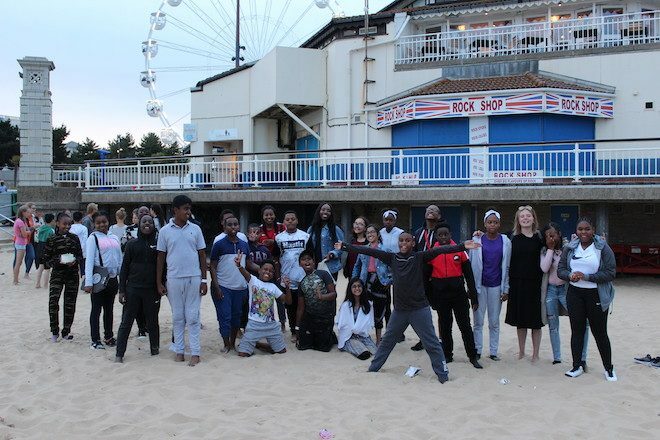 As well as meeting Graduates and Lecturers, they did workshops in photography and creative writing and also spent time chilling on the beach.